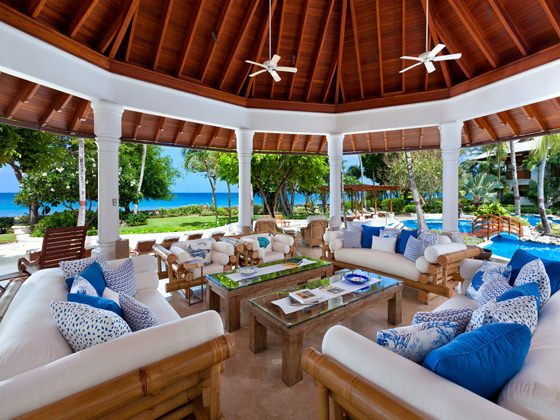 The best residence in Barbados. 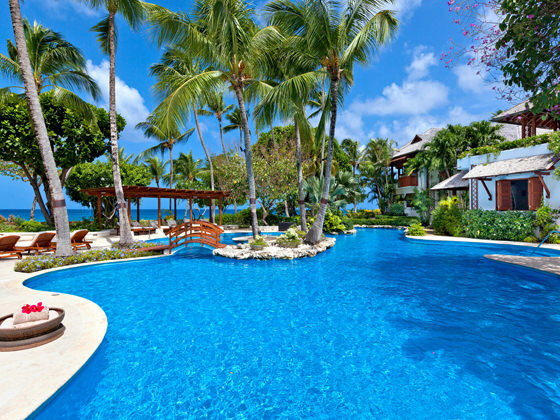 Within the lap of luxury on Barbados’ platinum west coast, this 3-acre, 13-bedroom, two-dwelling residence known as Greensleeves has earned a worldly reverence as the most unique Ian Morrison creation on the island. 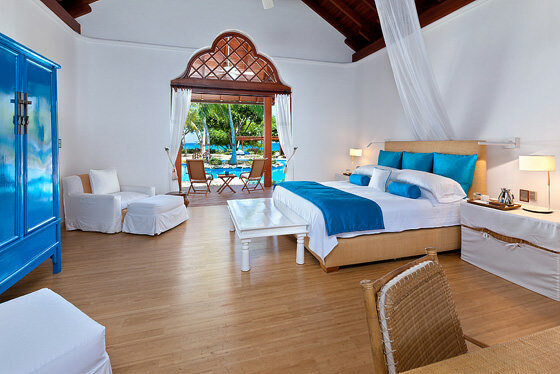 Whether it’s the property’s sheer size, its enviable location, its spacious rooms, architectural design, accents or its convivial atmosphere, Greensleeves personifies fantasy - and will take your breath away. Greensleeves House is an architectural wonder of a family home. 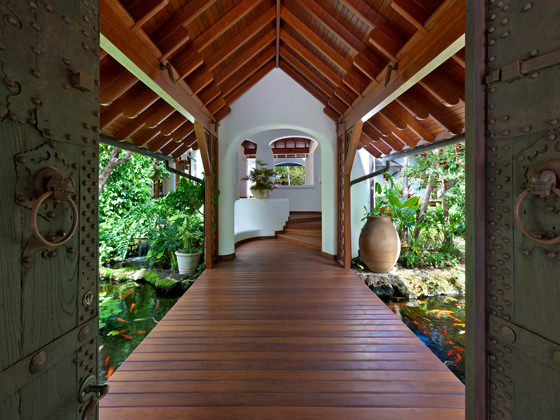 Here, Morrison introduces Asia to the Caribbean on 3-plus acres of beachfront land - a location that is a privilege along this stretch of the coast since beachfront options are a rarity. 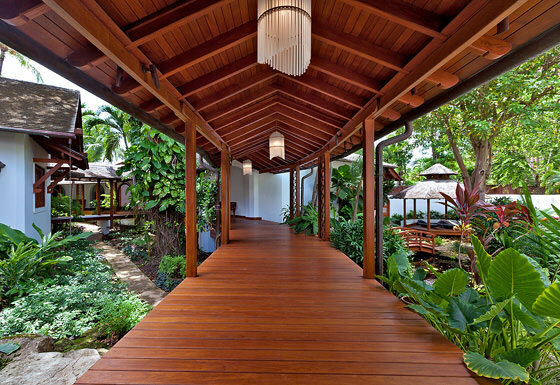 From its extensive use of teak, its raised walkways, and serpentine koi pond, to its leviathan palm oil pots and Mongolian temple doors at the entry, the home is the statement piece of the west coast. 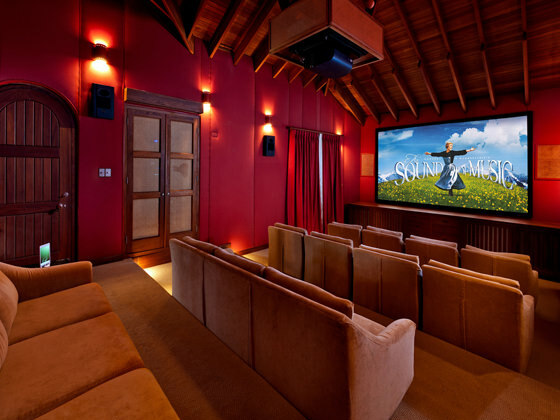 The two-storey dwelling features countless open-air dining areas, cozy lounges perfect for family time, a top-notch cinema and several nooks that set any mood you desire. 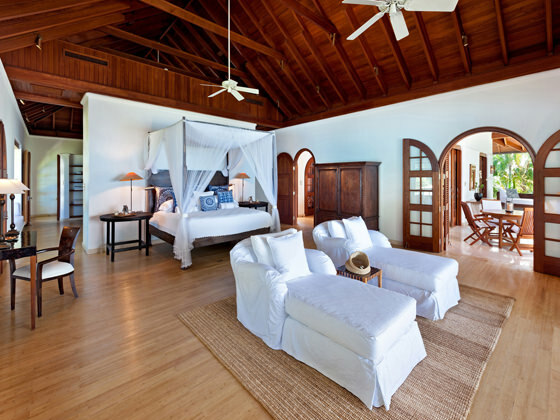 Its 9-bedrooms cover both levels of the home, and are all equally spacious and calming with their own private terraces. There is even a children’s wing that features separate girls’ and boys’ quarters, nanny accommodations, eating areas and everything else needed to cater to childlike frolic. Without a doubt its outdoors spaces are stunning, boasting a covered terrace that overlooks a lovely thirty-metre pool complete with its own mini island and swim up bar. Beyond this blue mosaic, a gazebo, an al fresco dining deck and the Blue Point cottage complete the picture against a backdrop of tropical trees. Blue Point cottage is a secondary luxury dwelling on the Greensleeves property. The cottage is presented in the same oriental tones as the main residence, and houses 4 bedrooms, 4.5 bathrooms and a separate pool. The master bedroom suite crowns the cottage and is the only guest room located on the first floor, while the remaining three guest rooms are tucked away snuggly on the ground floor. The remaining three rooms are equally charming, with two featuring double beds and an en-suite bathroom, and one carrying twin beds and an adjacent bathroom complete with shower. 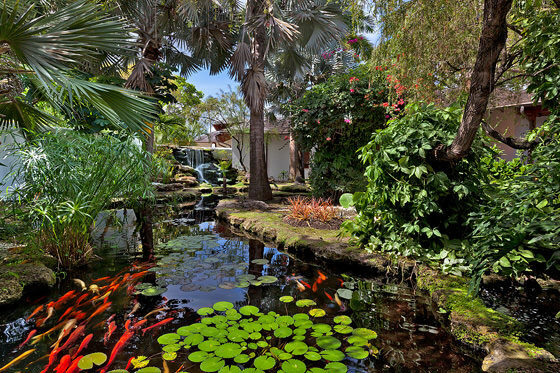 This unexpected retreat directly opposite the residence is one of the most beautiful displays of Mother Nature’s flora and fauna along the coast. Adorned with a grove of mature trees, the park has a pond, tennis courts and an additional beach access point. Gibbs Beach is one of the most sought after locations on the island; not only because of its powdery golden sand and calm waters, but also because there are very few wayside properties with direct - and lesser so private - access to this beach. There is no doubt that prudent investors will quickly realize the redevelopment opportunity attached to investing in Greensleeves. This lies in Greensleeves Park, which offers the unique chance for redevelopment into villas that would have private access to the beach. This model, which has historically been adopted by developers of the Sandy Lane Estate, would see the park transformed into a 10-plus villa lot site, each with a generous lot size of 1 acre. A conservative estimate of the value of each of the lots in the current market is US$1.0 million each. So, in addition to being the leading architectural wonder on the island, Greensleeves has countless possibilities as the perfect family home complete with redevelopment opportunity for its prospective owners. But, be reminded - while we try to capture the essence of the property on these pages, they lack in doing any justice to the warm, welcoming sanctuary that lies behind the doors at Greensleeves. CLICK HERE TO EXPERIENCE GREENSLEEVES.